Filled with creamy goat cheese and sweet dates, this pie is the perfect blend of sweet and savory. 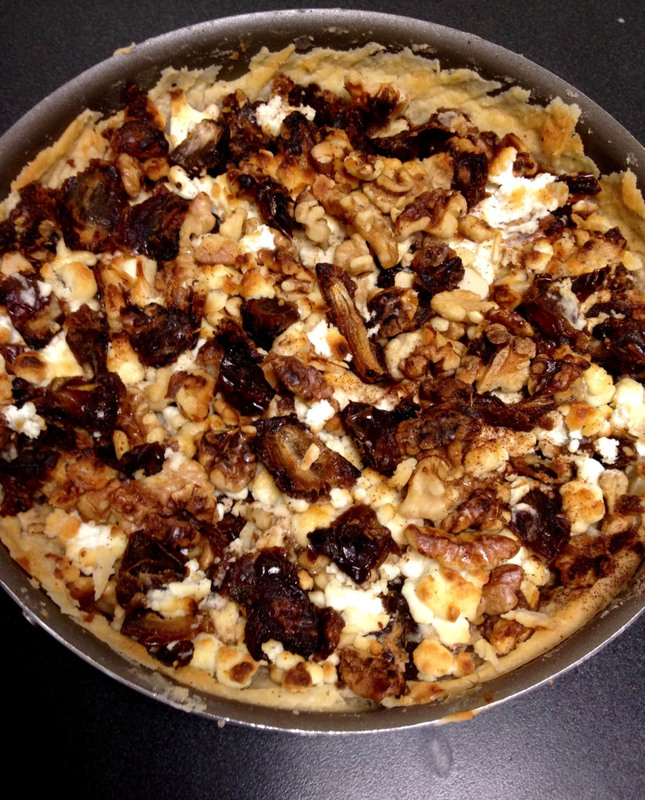 It’s reminiscent of a cheesecake, but the contrast between the cheese, crunchy walnuts and chewy dates makes every bite unexpectedly delicious. And the best part? The pie can be enjoyed at any time, whether it’s Sunday brunch or some late night munchies. 1. Mix flour, butter and water together in a bowl and then place dough in the fridge for an hour. 2. After the dough is chilled, preheat the oven to 350°F. 3. 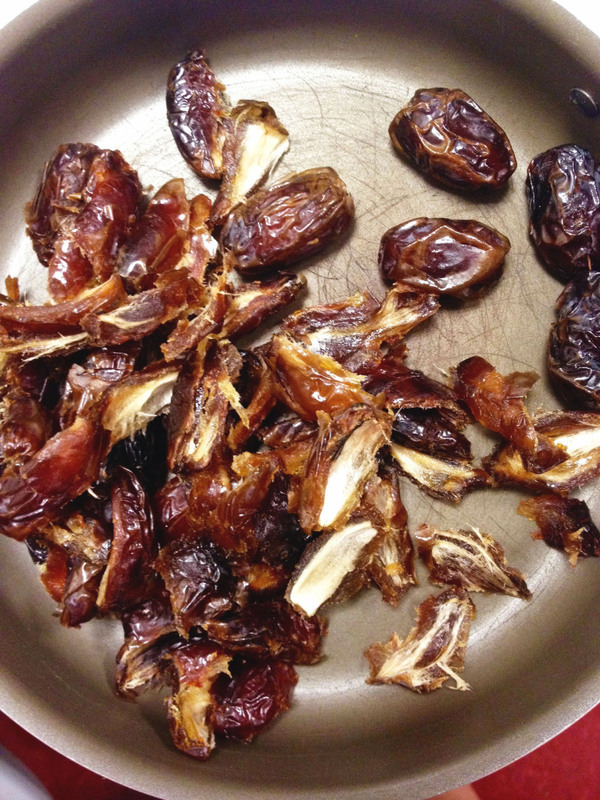 Dice the dates into small chunks and remove the pits. 4. 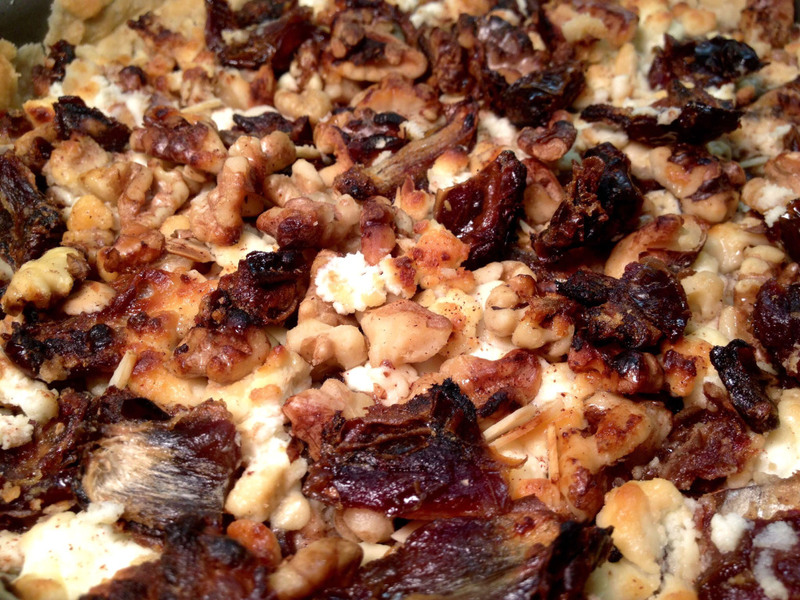 Mix the dates with the goat cheese, walnuts, honey and cinnamon. 5. Spread chilled dough in dish and fill with the date mixture. 6. Place the pie in the oven and bake until cheese is lightly browned and the crust is golden brown. 7. Remove pie from oven and let it cool for 20 minutes before enjoying.